The material causes of the fire need to be addressed, but it is the political environment of intense negative associations with public housing that must be at the core of any debate. Addressing a debate held on the fringes of the Glastonbury Festival, Britain’s Shadow Chancellor and Labour MP John McDonnell claimed the victims of the Grenfell Tower tragedy were ‘murdered by political decisions’. In doing so he was referring to the years of austerity cuts and reductions in regulations (or red tape if you’re of the opposite political persuasion). Legally, the term murder is quite specific: it refers to a premeditated act rather than the consequence of other actions. Manslaughter would, therefore, be the more apposite term. However, regardless of the legalistic nuances, McDonnell’s interjection prompted accusations of using Grenfell victims as political pawns. He was, according to many Conservative commentators, playing politics. Yet how can the destruction and subsequent loss of life caused by the fire that engulfed the Grenfell Tower in London’s richest borough of Kensington and Chelsea be anything other than political? It has placed the on-going debate around the provision of public housing in Britain atop of the media cycle, at least for the time being. Of course, first and foremost this is a personal tragedy and thoughts go out to those who have lost friends, relatives, and to those who survived but experienced this life-shattering event. Although the official death toll has remained at 80, many fear the final total will never be known. David Lammy, Labour MP for the North London borough of Tottenham, has raisedconcerns expressed by Grenfell survivors and neighbours that a cover-up has been implemented to prevent the true numbers being released because the authorities fear civil unrest if the truth was known. Yet, even the police admit that the final number may not be known until the end of the year. I have no idea whether Lammy’s fears are realistic, but like anyone else who saw the events on TV, I find it improbable that numbers will not rise. And alongside recent disclosures around the 1989 Hillsborough football stadium disaster, I doubt those in power will hesitate to mitigate the political fallout having an adverse effect on their careers. No doubt the blame for the material factors behind the fire’s spread will be laid at the door of constructors, perhaps the architects, and specific low-ranking individuals with responsibility within the municipality. 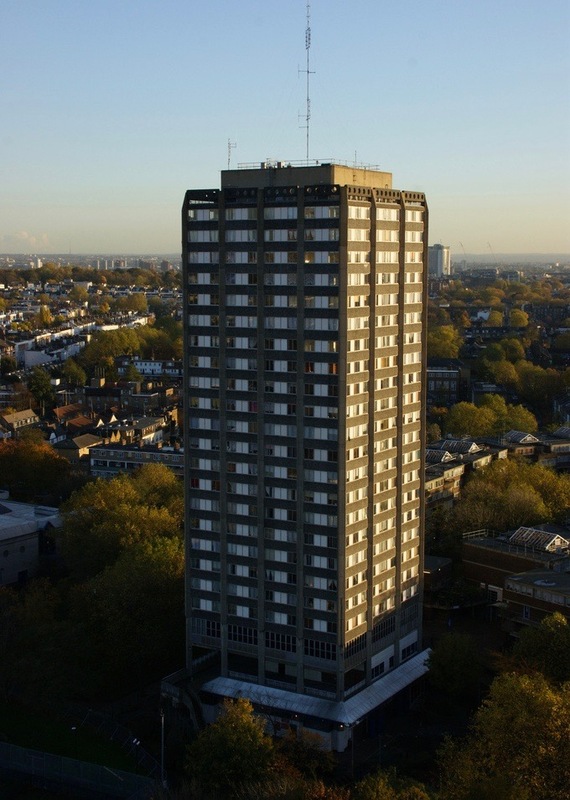 It would be interesting to see the terms of the brief for renovation work on the tower that Kensington and Chelsea gave to contractors, to ascertain the extent to which cost and its reduction was the dominating concern. It does appear an important factor in the choice of cladding was aesthetic: the need to ‘improve’ the outward appearance of the 1970s block for the more affluent residents living in adjacent neighbourhoods. If the tower had been left in its original concrete form, the fire would not have spread. Surely it is, therefore, the wider politics that needs to be the subject and focus of debate and inquiry: the decades of denigrating public housing to a point where it’s routinely described as an anathema from a by-gone era. One in which social tenants are routinely categorised as undeserving poor who take advantage of the system to thwart the neo-liberal ideology of striving for the halcyon objective of a home-owning democracy. This stigmatisation becomes self-reinforcing with the managed decline of public housing that has been running since the 1980s. Many argued that the impetuous behind the denigration sits at the door of Margaret Thatcher’s governments and their political gerrymandering disguised as ‘right to buy’. They forget that the Labour-led Greater London Council implemented a similar scheme for London slightly earlier. No post-1979 governments are wholly innocent. We know the process: cut the maintenance, slowly relocate the residents, argue that the properties are beyond repair, demolish and replace with private developments that only offer a tiny proportion of social housing, a quarter of the size and with a separate entrance so the private tenants do not have to mix with the social residents. 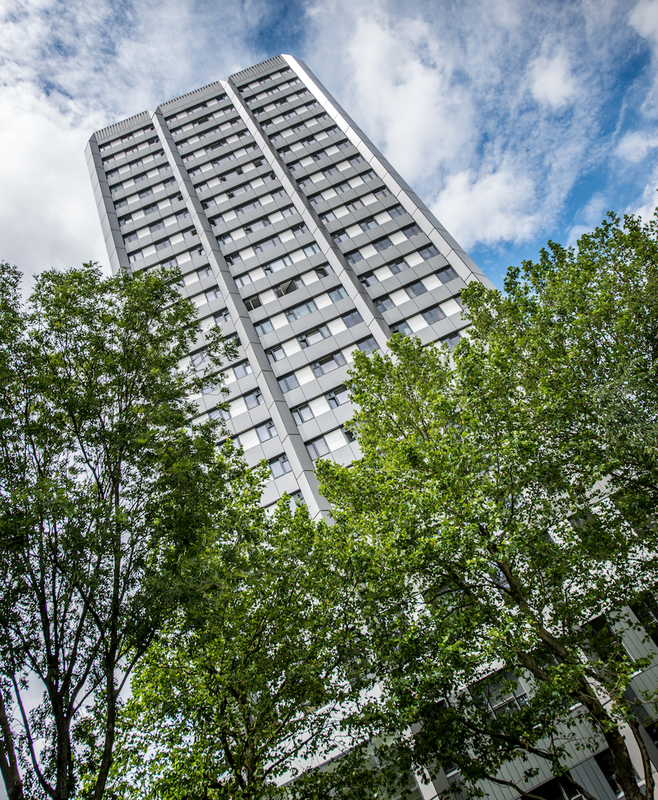 A similar turn of events can be seen in the trajectory of many post-war towers in Britain, for example, Red Road flats (Glasgow), Robin Hood Gardens, (Poplar, London), and Lenton flats (Nottingham). Architecture is blamed so that areas can be cleansed of social tenants (predominately Labour and non-registered voters), who are seen as a drain on community resources and an irritant to those aiming to gentrify our urban cultural centres. The government must not be allowed to dictate the narrative, although they have been accused of doing so with the appointment of the retired Court of Appeal judge Sir Martin Moore-Bick to lead the inquiry into the tragedy. Emotions are high and the appointment of a judge who once agreed it was legal to re-house a tenant 70 kilometres away from their original home (a decision that was described as social cleansing and later overturned in Britain’s Supreme Court) illustrated the distance between the everyday realities of Grenfell residents and the agencies tasked with their care. Yes, the material causes of the fire need to be addressed. Yet surely it is the political environment of intense negative associations with public housing that must be at the core of any public inquiry. Decisions on cost cutting are not taken in a vacuum. Working within the ‘grey’ areas of building regulations can only occur if there is a belief that it is acceptable. Important as the material causes are, it is the politics that have enabled decisions leading directly to the fire to be taken. John McDonnell went too far, but architecture and spatial design are, and always have been, Political with a capital P.
Dr Gary W. Davies is an independent researcher interested in the urban past, present, and possible futures.